Black & Waterproof: Designed for front passenger seats on all standard vehicles, trucks & SUVs. Made with high quality heavy-duty polyester for durability. NO SLIP & SLIDING – Includes 4 quick-release buckle that around headrest and that seat back. 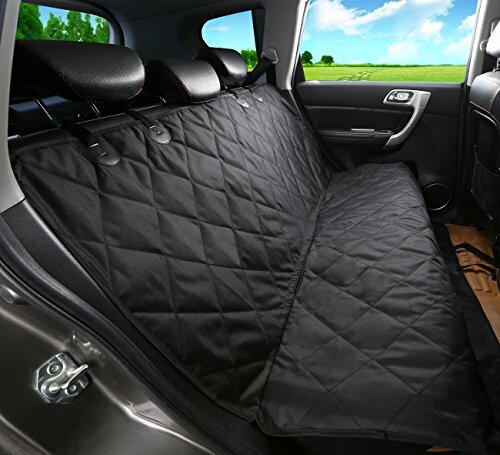 Also includes built-in rubber nonslip backing and seat anchors to prevent seat cover from sliding around. Black & hammock convertible: 137CM x148CM: designed for the backseats of standard cars, trucks, & SUVs. Easily convertible between hammock or standard bench coverage. 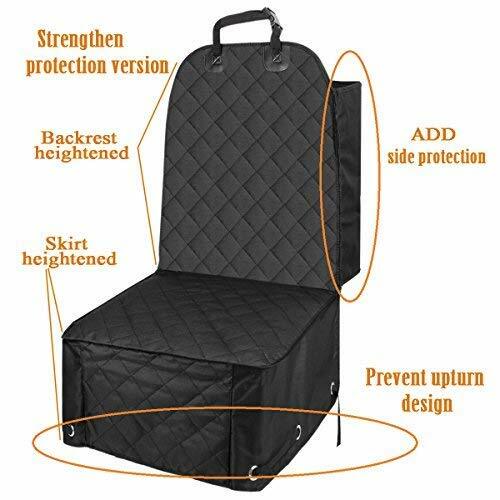 Bench section of the seat cover is designed with 7″ side-flap extensions for extra coverage to the side of your seat cushions. Waterproof: Made with high quality heavy-duty waterproof polyester for durability and comfort. Include Built-in Velcro Openings for your seat belts and Seat Anchors to prevent the seat cover from sliding around. Protects back seats From dirt, spills, scratches, hair & fur, and other messes. Two pockets included for easy storage of personal items such as toys, leashes, grooming supplies, and water bottles. UNIVERSAL FIT–This front seat dog cover is measures 22.5×20 inches in size to fit all cars, trucks and suvs. 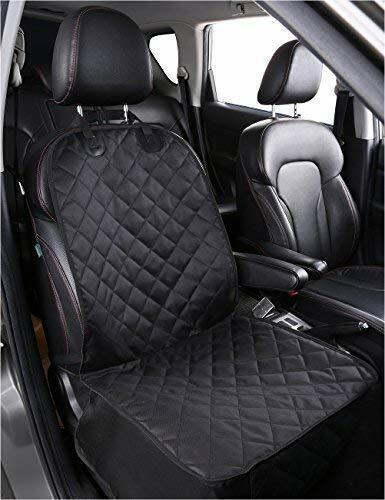 As this universal fit size, you can install this seat cover in the front seat(both driver seat and the copilot seat) of any vehicle. NON-SLIP–The features of this front seat dog cover is the anchors, that hold it securely in place, and it has a no-slip rubber backing that prevents slip sliding so you NO NEED TO WORRY about dirt, dander or claw marks on you seats. 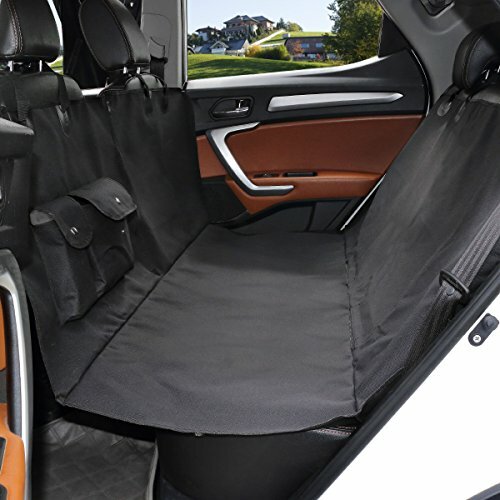 EASY TO CLEAN–When the front seat dog cover gets dirty, you can just remove it with ease and launder it in the washing machine to get it fresh, clean and ready for use again.